You are here: HomenextDocumentsnextBooksnextFor Club, King and Country. 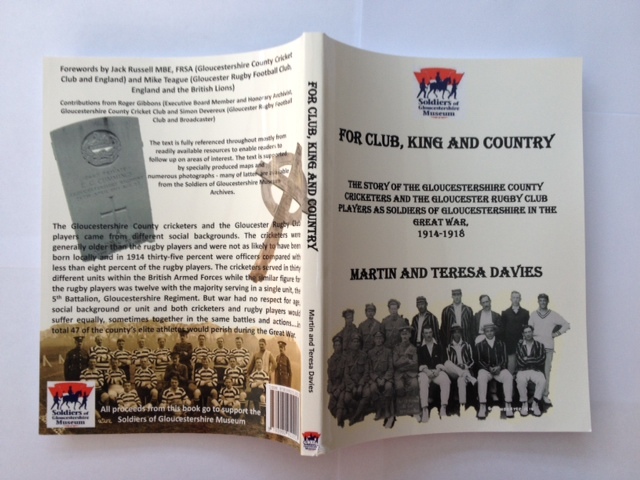 The Story of the Gloucestershire County Cricketers and Gloucester Rugby Club Players as Soldiers of Gloucestershire in the Great War. By Martin and Teresa Davies, foreword by Mike Teague and contribution by Simon Devereux.